Tomas /Czech Republic/ is product manager of Seznam e-mail, which is the biggest freemail in Czech republic. 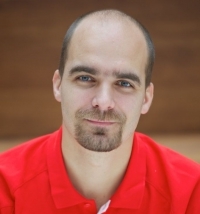 He is Certified Scrum Master and one of the Scrum evangelist in Seznam.cz highly interested in Scrum and Agile practices since the turn of the year 2008-2009. Due to his 8 years history in Seznam he knows the changing company`s culture, which is beneficial in the transformation to (and somewhere lets say just coming back and calling it) agile. This talk will describe first steps of SCRUM implementation in Seznam.cz. Tomas will speak about people's attitude, communication between remote teams, pulling down company's organization chart in favor of team spirit and why we have implemented our own SW tool to support Scrum flow. In a way it will be our retrospective, so you can find some patterns and ideas which may suit your situation.